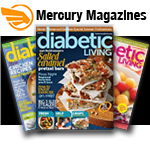 Diabetes or Prediabetic Syndrome is an alarming and growing epidemic that needs to be addressed and then eradicated. It is expensive for tax-payers and very devastating to those who have the disease. I am personally concerned about this disease because when my father passes away, it will probably be due to complications of his adult-onset Type II Diabetes. He has worked hard all of his life, very hard! In the past, whenever there was a donut, a good cut of meat, pizza, or ice cream, he went for it! He looked at eating as a reward for being such a hard worker, and I totally concur. He deserved to have some kind of reward, for all of his hard work. Except that the reward he chose was bad for his health. Now he has to take his blood sugar every morning and night to make sure his sugar limits are within acceptable levels. Finally the message has gotten through to him that you are what you eat! He eats a huge salad every day filled with good veggies and fruits. But it will never cure him of diabetes. All he can do now is manage it. I don't ever want to live like that (I hate needles, for one thing), so I try to avoid foods that I know are bad for me, sometimes not very successfully. Because once you have it, that's it! Disturbing New Trend. There is an emerging global epidemic of diabetes that can be traced back to rapid increases in overweight, obesity and lack of physical activity. Death Toll Rising. Total deaths in diabetes are projected to rise by more than 50% in the next 10 years. Most interesting is that they are projected to increase by 80% in upper-middle income countries, like the U.S.
Types I And II. Type I Diabetes is characterized by a lack of the body's ability to produce insulin, which is apparent in early childhood. 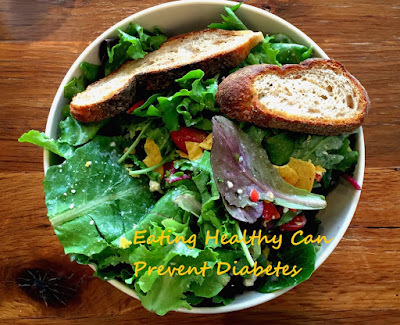 Type 2 diabetes is flagged because of the body's ineffective use of insulin. This can be adult onset and triggered because of a number of factors. Type 2 Diabetes is much more common than Type 1 and accounts for 90% of all the world cases of Diabetes. Younger And Younger. Reports of Type 2 Diabetes in children, previously rare, have increased worldwide. In some countries it accounts for almost half of newly diagnosed cases in children and adolescents. Another Type. A third type of diabetes is gestational diabetes, which is characterized by hyperglycaemia, or elevated blood sugar. Complications. Lack of awareness or the unavailability of healthcare services can lead to more severe diabetic complications such as blindness, amputation, and kidney failure. Widespread Implications. People with diabetes can live with the condition for years and the implications are widespread, the complications many. Often times, upon death, many reports indicate that the primary cause of death is heart disease or kidney failure when, in fact, those conditions are symptoms and complications of diabetes! Prevention. With these facts in mind, we can see that this is an epidemic which is spreading too fast and much too easily. There are some basic things we can all do to make sure we don't get this "disease of the armchair and donuts". Basically, make sure you are getting at least 30 minutes of moderate intensity exercise on most days and that your diet is healthy, with a minimum of junk food. Know your family history. Do other members of your family have diabetes? If so, you may have a higher risk of getting diabetes yourself! Make sure you are getting plenty of fiber because fiber flushes out toxins and extra sugars that might contribute to diabetes. Avoid white flour and go for the whole grains! Whole grains help to stabilize blood sugar levels. If you are overweight, lose some of the extra weight. Studies show that if you lose even 7 percent of your initial weight, the chance for getting diabetes is reduced by at least 60 percent. So even losing some of the weight will help immensely! 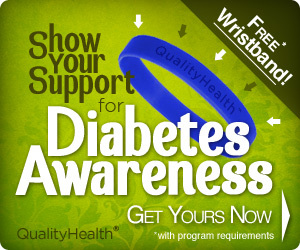 November is Diabetes Awareness Month! Show your support to get rid of this disease by sharing what you know, doing what you can, and wearing the wristband!